Langtang region is a popular trekking destination near Kathmandu that offers some pleasing trekking packages like Helambu trek, Gosaikunda trek, Langtang valley trek and Bhairav Kunda Trek. The wild landscape of Langtang valley and the numerous mountain lakes like Gosaikunda Lake and Bhairav Kunda Lake, the green lush valleys with the sensational vies of mountains around makes Langtang region is definitely worth a short to long walks. 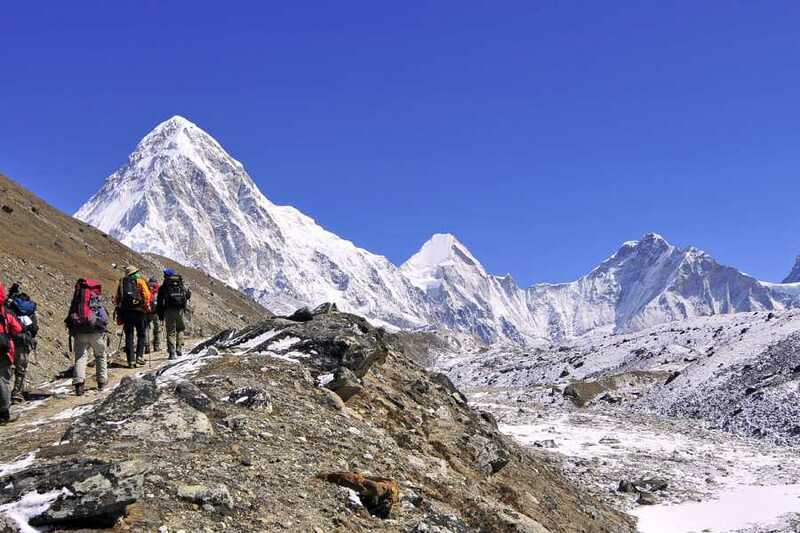 As compared to Everest and Annapurna region, Langtang region is less travelled regions in Nepal but is very popular among adventure lovers, and definitely the best suitable trekking region in Nepal. Walking inside the Langtang National Park is the major highlight of this region. Encounter some rare species of birds and animals as this region preserves more than 1000 species of plants, over 150 species of birds and many mammals and other animals like Red Panda the major attraction of this place inhabit in the woods of bamboo trees. Langtang region is also very popular for yak Cheese factory and cultural richness especially follow Tibetan Buddhist culture whose resemblance can be seen in the Gompas and monasteries like the prayer flags, chortens, Mani walls and everything reflects the Tibetan land and its culture. The people in this region has treasured their unique culture and traditional lifestyle almost untouched trough centuries. Local people sing and dance in their own language wearing traditional colorful clothes, very often weave bamboo baskets that are so attractive. Among all, their warm nature which will make you feel welcomed and homely. Look at the video of the Lantang Valley Trek which will provide you more idea and information of what this trekking journey feels like. Come and enjoy the most memorable journey of a lifetime with us! After breakfast, we drive back to Kathmandu. We spend the rest of the day packing and maybe catching up on some last-minute souvenir shopping. Royal Nepal Adventure will celebrate our successful trip in the Langtang Valley by hosting a farewell dinner. Overnight in Kathmandu. Our adventure in Nepal comes to an end today! A Royal Nepal Adventure representative will take us to the airport approximately three hours before our scheduled flight. On our way home, we have plenty of time to plan our next adventure in the wonderful country of Nepal.